Olaplex No.4 Bond Maintenance Shampoo restores internal strength and moisture levels to add incredible shine and manageability. 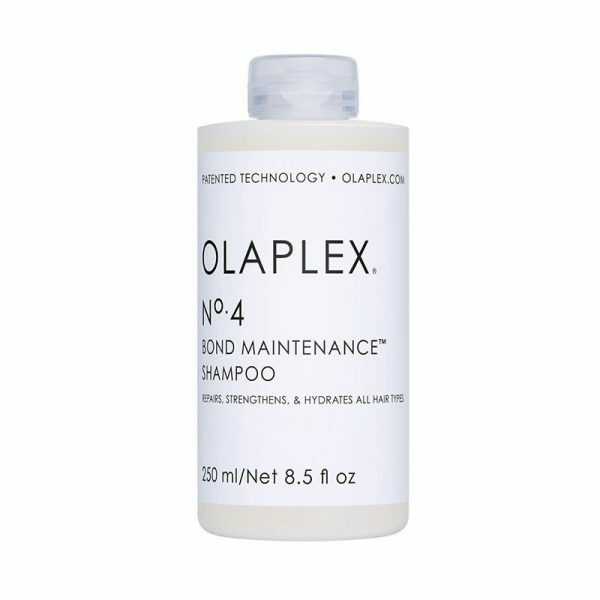 The Olaplex No.4 Bond Maintenance Shampoo is formulated with patented OLAPLEX Bond Building Chemistry that re-links broken bonds to protect and repair damaged hair, split ends and frizz. Olaplex No.4 Bond Maintenance Shampoo is for all hair types and is sulphate-free, paraben-free, gluten-free, vegan, nut free and completely colour safe. This dry spray wax gives your hair undone texture, flexible hold and a matte finish, so you can style, restyle and finish with ease. DIRECTIONS: Shake well. Spray on towel-dried hair and blow dry. Spray on dry hair for a textured finish. 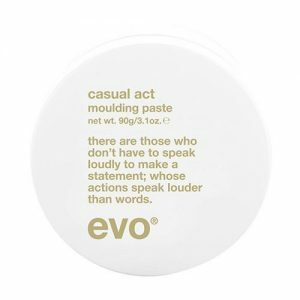 Casual Act is a water soluble paste for the casual citizens among you looking to accentuate their natural style, without rubbing everyone else’s faces in it. It adds texture, style support and a relaxed ‘au naturelle’ finish, so your head won’t look like it’s been in a ball shiner. DIRECTIONS: Work between hands and apply to hair. 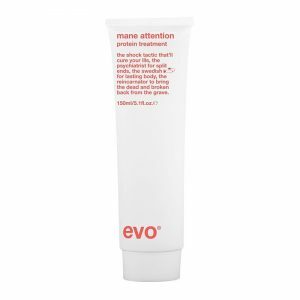 Evo have done it again…better than you ever thought possible! The fabuloso colour enhancing treatment has taken it’s conditioning service one massive step further, now enabling your stylist to create a concoction specific for YOUR colour. That’s right, you can now have a conditioner made to match your exact colour to keep your hair glossy and healthy, and your colour fresher longer. Our talented stylists will use their extensive colour knowledge to add a dot of this and a dab of that to tweak this take home product to perfectly support your unique look. All you need do is ask. If you are a salon client you can purchase this online as we have your colour history in salon to match it to. If you haven’t yet made your way into hair&harlow contact us and we’ll discuss with you how we can get the perfect colour match for you. A protein reconstructor to repair and strengthen; encouraging healthy, shiny hair. Helps to strengthen hair, prevent hair breakage and fading of colour.